The McKinneys worked closely with Tom Millman when designing their store layout and equipment mix. 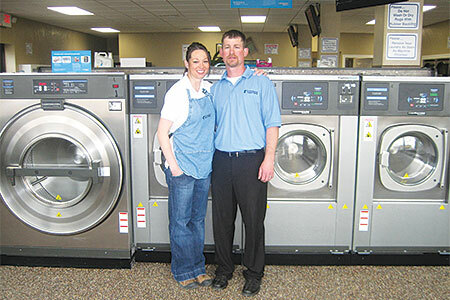 Millman owns and operates Washtime Industries, a laundry equipment distributorship based in Greeley, Colo.
After careful research, the couple selected Continental Girbau high-speed, freestanding washers and complementary Continental drying tumblers for the store. 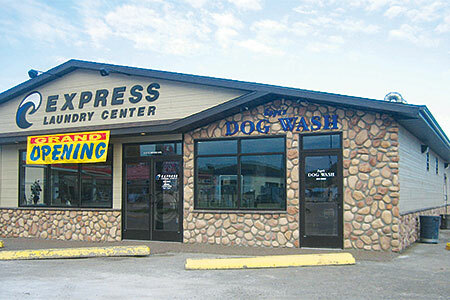 The Express Laundry Center harnesses high-speed ExpressWash™ Washers engineered to significantly reduce utility usage and deliver a 60-minute wash/dry. Because the washers are freestanding, they installed easily without bolts or concrete foundations. ExpressWash™ machines produce extract speeds up to 354 G-force. Because high-speed washers remove more water per load than hard-mount washers, laundry loads dry 40-50% faster, according to Continental. This shortens wash/dry time for customers—getting them in and out of the laundry sooner—and reduces electricity and natural gas consumption. Additionally, the Express Laundry Center also saves water. There are no top-load washers in the store, and as a result, the laundry saves significantly on water and water heating costs, according to Millman. A typical top-load washer consumes 30-40 gallons of water per load, he says. By comparison, the Express Laundry Center’s 20-pound-capacity ExpressWash™ Washers are front-load machines using just 13.4 gallons of water per load with good wash results. Altogether, utility costs—water, sewer, gas and electrical—represent 8% of Express Laundry Center revenue, according to the McKinneys. 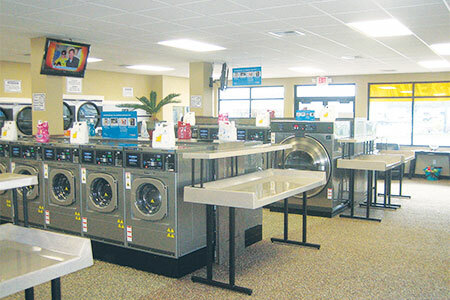 Because the McKinneys selected freestanding ExpressWash™ machines, they successfully differentiated their store with a 60-minute wash/dry promise. On average, a customer can wash a load of laundry in 19 minutes and dry it in 24 minutes, says Shane.